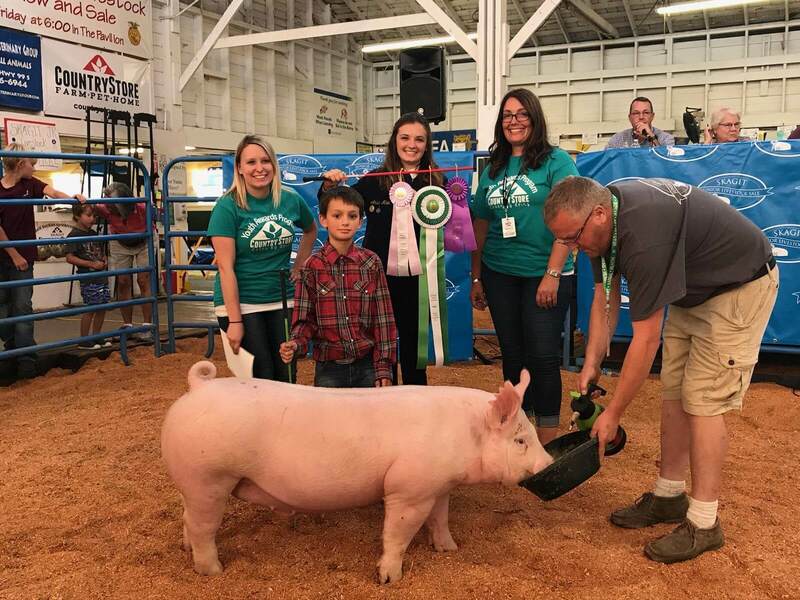 As part of our Youth Rewards Program, representatives from the Country Store team attend fairs and livestock shows across the Pacific Northwest each summer. 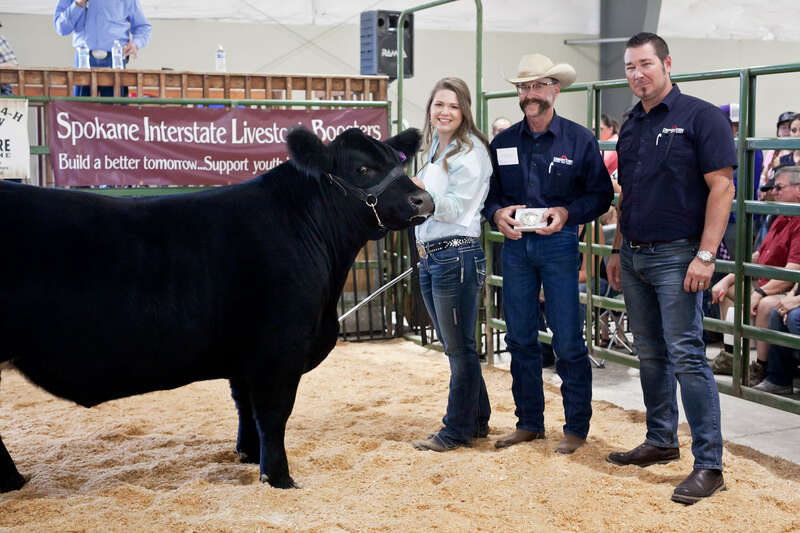 As part of the program’s support of youth in agriculture, we provide add-ons, which is additional monetary support, and purchase market animals from qualifying program participants at livestock shows. We had a great time during the Summer of 2018 getting to know our Youth Rewards Program members in Washington, Idaho and Montana! This year, we supported nearly 100 youth at 10 fairs, giving back nearly $35,000 in add-ons or livestock animal purchases. This year, we had the opportunity to support some amazing Youth Rewards Members! 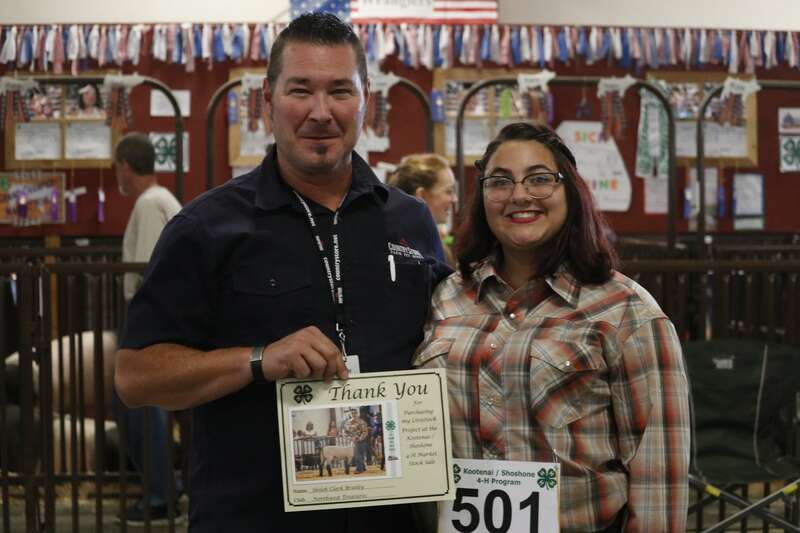 We purchased a hog from our Youth of the Year Essay Contest winner, Gabby Sweetser, at the Spokane Jr. Livestock Show. 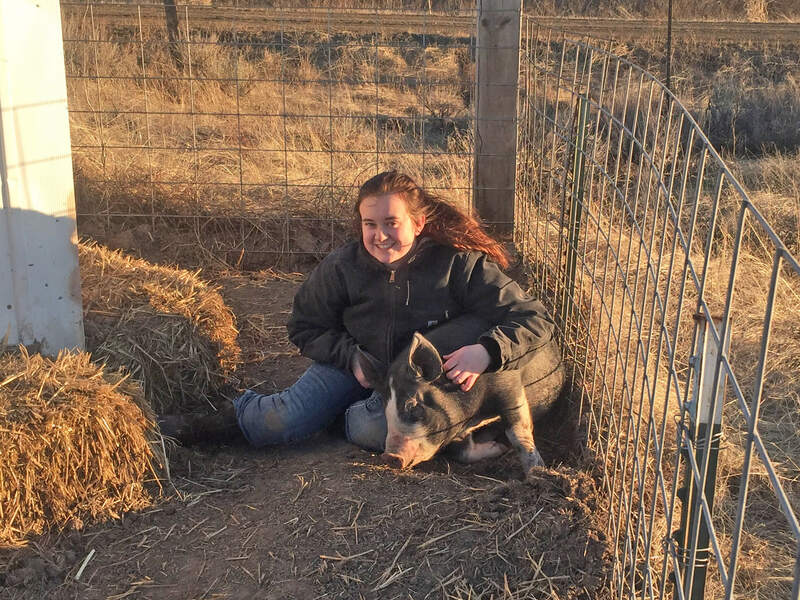 In addition to purchasing her market animal, Gabby received $800 to raise her project hog. Our Youth of the Year Essay Contest runs from October to January. The Youth Rewards Program member who writes the best essay on the given topic will get their entire project sponsored by the Country Store! See your local Country Store for more details. We also purchased some other great animals! We also met Lukas, Hayden and Amelia Main at the Skagit County Fair. We purchased Lukas’ hog as well a hog from his brother, Hayden, and a steer from his sister, Amelia. Nice job, Main family! We purchased a sheep from Shiloh Clark Brailey at the North Idaho State Fair. The Country Store also sponsored belt buckles this year for the North Idaho and Spokane Interstate fairs. County Store and Skagit Farmers Supply makes youth in agriculture a priority. Our company understands the importance of youth learning about agriculture — the youth of today are the future of farming for our country and our world. Their ability to learn about and understand how agricultural businesses operate will dictate the future of the industry. Skagit Farmers Supply and the Country Store understand the importance of fostering youth in agriculture. It is part of our company’s mission and why we continue to support 4-H and FFA clubs and members by offering the Youth Rewards Program. Each year, hundreds of 4-H, FFA and Pony Club members join our store’s program, which gives program participants discounts on items for their projects. For example, kids who are raising an animal for a livestock show can get feed, halters, brushes and more from the Country Store at a discounted price — all they have to do is sign up every October! The program is open to anyone 18 and younger who is involved in 4-H, FFA or a Pony Club. Those members who meet a spending threshold (which differs depending on the project animal) are eligible to receive an add-on or have their animal purchased at shows. We ask that program members who are taking a project animal to a livestock show go into their local Country Store about a month before their livestock show to give the store manager a short presentation about their project. We love to hear what the kids have learned while raising their animals, what type of feeds they fed and what they saw as the biggest challenge during their project. Do you have additional questions about the Youth Rewards Program? Head into your local Country Store for more information, or sign up online. Don’t forget to re-sign up every October. See you at the fair!